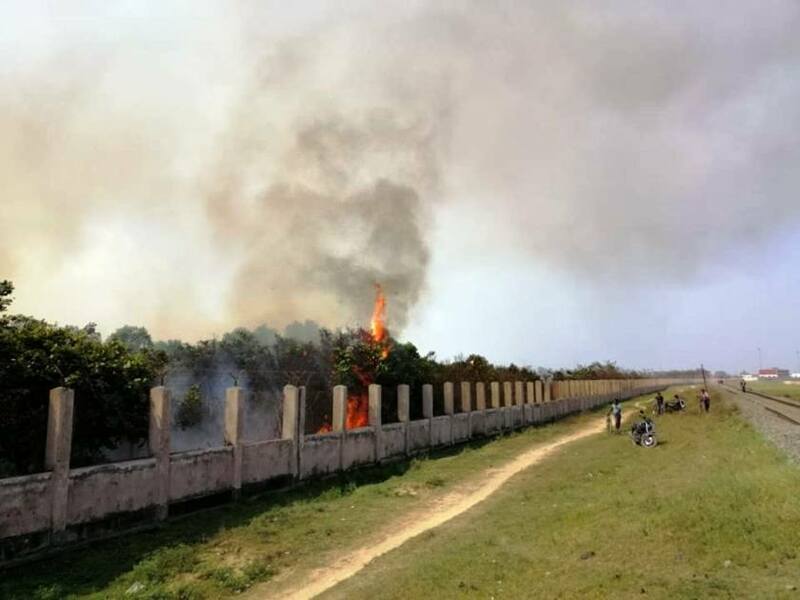 BIRGUNJ, March 24: Fire fighters are battling to douse a fire at the Integrated Check Post at Birgunj. Six fire fighting trucks, four from Birgunj municipality and two from Raksaul, India is being used to douse the fire. The fire, apparently, started from a dry field and quickly spread at 1 PM. The Indian security forces have prohibited anyone from entering the area. “Details of the fire, including the damage on goods, is yet to come,” Manish Mehta, spokesperson at the Birgunj Customs Office said.